Astronomy Science ~ Perovskite crystals is probably the most abundant mineral in the Earth, but for centuries, scientists have failed to obtain this mineral. This mysterious mineral make up more than a third of the volume of the Earth and are mostly found at the bottom of the coat planet at a depth of 410 to 1,796 miles (660-2890 km) below the surface of the planet. 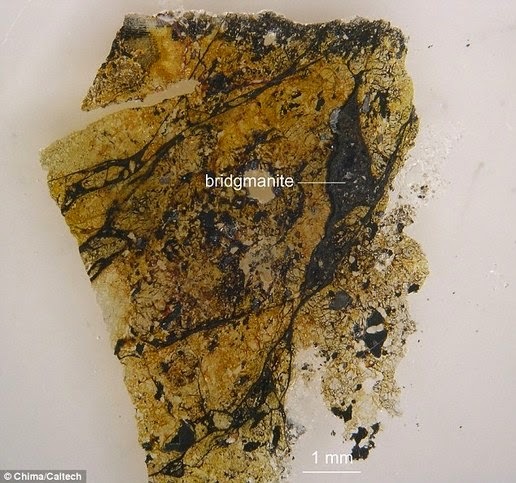 Now, for the first time, US researchers managed to get a sample of this mineral and also gave it an official name as Bridgmanite. Named for Percy Bridgman, US physicist who won the 1946 Nobel Prize in physics. This mineral was discovered by Oliver Tschauner and his team from the University of Nevada, Las Vegas, in Tenham meteorites, which get intense pressure over a short period. "Although it appeared for decades in a variety of experimental and theoretical studies, characterization of natural samples may not yet sufficient to meet the criteria of the International Mineralogical Association for name as a new mineral," wrote Professor Tschauner in the journal Science. 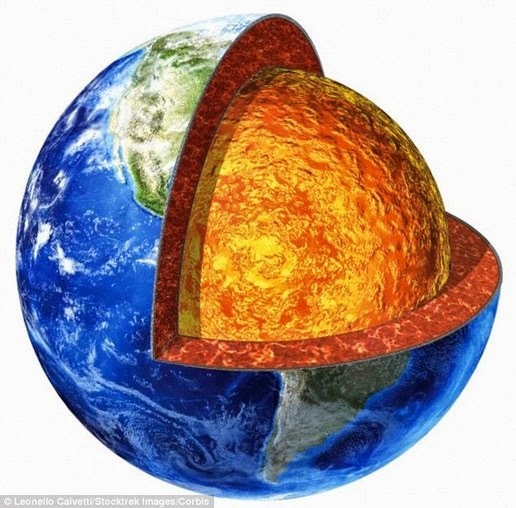 This mysterious mineral make up more than a third of the volume of the Earth and are mostly found at the bottom of the coat planet at a depth of 410 to 1,796 miles (660-2890 km) below the surface of the planet. According to the rules of the Association of International Minerals, mineral can not be named officially until specimens have been found that can be studied directly. "Therefore, the detailed chemical, structural and petrographic analysis of the nature [bridmanite] is impossible now, 'said Professor Tschauner. Tenham meteorite hit Australia in 1879 after experiencing a temperature of 2000 ° C and a pressure of 24 gigapascals - this condition is the same as the conditions in the deep bowels of the Earth. Due to great pressure, bridgmanite essentially 'frozen' in place before it could decay, forming in to crystals in the meteorite. Scientists have been looking at the possibility of this material in meteorites in the past, but when using an electron microscope to study the materials, they are inadvertently destroying it. This time, the team used a less destructive testing using X-ray micro beam along electronmicroscopy to keep the sample intact. The researchers claim that this sample has more sodium and iron acid than they had predicted. In fact, they say that these minerals may hold clues about what happens when a rocky object in space collide with each other, which may offer insights into how the universe was formed.